Elite Control Systems, a provider of systems integration services, has announced that once again a major oil and gas operator has renewed its contract with the company to provide a comprehensive process control software system and ongoing support in Azerbaijan. For almost 20 years, Elite Control Systems has provided a fully operational, customised process control software system, and ongoing technical support for Chirag offshore production platform on the Azeri Chirag Guneshli oilfield in the Caspian Sea. 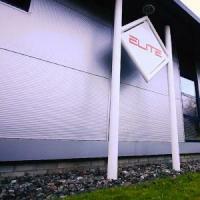 Elite can access the platform’s fire and gas control system remotely from its headquarters in Livingston, Scotland. As a result, the automated control systems used to operate Chirag operate smoothly, and allow production to continue without interruption. During this period, Elite Control Systems has also supplied technical guidance with regard to, for example, system upgrades and adjustments to the platform to enhance safety and efficiencies.